Takeaway: Engineers design boreholes through careful consideration of intended use, depth and entry angle data. During the planning stages of a project, borehole design is an essential consideration. It is a highly technical task that requires the engineer to use site studies to create the proper size borehole. Designers have to determine the intended use, depth of bore, entry and exit angles, and the bend radius. Wells use vertical drills to create the borehole. The geologic and hydrogeologic conditions of the site play a role in influencing the design and construction of the well borehole. Hydrogeologic conditions refer to the hydraulic characteristics of the aquifer being tapped. The groundwater classification system developed in 1984 notes that the presence of groundwater in the subsurface relates to the geologic condition – areas with similar rock composition form similar groundwater regions. 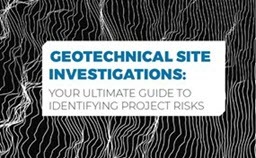 Exploratory boring of a specific site helps project planners to define the hydraulic and geologic characteristics of the underlying materials. The stratigraphy of these samples tells planners the zones of permeable materials, which affects the direction of groundwater flow as well as contaminant transportation. The ground composition alerts planners to tool types and drilling fluids necessary to complete the project. As the name implies, horizontal directional drilling (HDD) moves through the strata in a horizontal direction. While this technique may be used in oil well drilling, along with vertical well drilling, it is also used to lay pipelines for water, gas and sewer delivery. This method is also the top choice for running underground utilities such as fiber optic and power cables. Depth plays a part in the overall borehole design. For well boreholes, the depth is determined by the aquifer location. To make the well last for a long time, it is essential to not over-drill the well. However, there is no set depth for a working well. The average depth is between 60 and 80 meters, but this may vary. The depth of a well borehole affects not only the stability of the site which needs to be shored up with a casing, but also the pump mechanism used to bring the water to the surface, as different pumping mechanisms work at different depths. Horizontal drilling boreholes are slightly different. Workers determine the ideal depth for these projects based on the length of the bore, the obstacles they are crossing and the job function. These bores may stretch for hundreds of meters but are only a few meters deep beneath the ground surface. Depth considerations not only apply to the borehole itself, but other factors surrounding the construction. For HDD, this means knowing the location and depth of other underground utilities and sewage lines to compensate the extent of the new borehole as to not disturb the existing lines. With HDD boreholes, the entry and exit angle plays a role in the overall borehole design. The entry angle should be between 8 and 20 degrees, but may fall outside this range depending on the obstacle crossing. However, if there is a long radius curve, a straight tangent section may be preferable to accommodate the bend radius of pipe and drill rods. The exit angle should not be as steep as the entry angle. Generally, this angle falls between 5 and 12 degrees. The diminished angle allows for more comfortable handling of the pipeline as workers pull it back through the borehole into place. The bend radius is the bending characteristic of the drill rod and pipeline. This radius is the forward distance required by the drilling rod to make a 90-degree turn. As a rule, the range of curvature is 100 ft/1-in diameter for steel pipeline. Miscalculation of the bend radius not only affects the pipe pulled into place after the borehole is complete, it also changes the drill rod as it makes the drilling. Excessive bend on the rod may damage the rod and machine. This damage causes downtime as workers must repair or replace parts. Each drill rig manual provides the bend radius for the pipe. Workers should adhere to these recommendations to avoid damage during the bore. They should also use these numbers to approximate the set-back necessary for the drilling unit at the entry point. The deeper the level of depth, the steeper the entry angle, and the closer the machine sits to the entry point. By considering every aspect of the borehole, engineers can adequately design the project.